Based in Bloemfontein, Free State, holds the exclusive rights for distribution for the Free State and Northern Cape, where professional MUD make-up artists can find all their make-up wants and needs. We are the distributers of MUD make-up products. 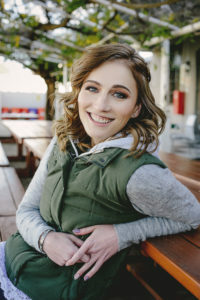 Bronwen Hurndall who is the owner of BH Make Up Studio might be young, but is truly making herself known in the world of beauty as a MUD make-up artist as well as a business woman. She has recently taken over the distribution of MUD products in the Free State and the Northern Cape. She is backed by a team of trained professional make-up artists at both stores and make a dynamic team. We offer professional make-up services for any occasion, such as Bridal, Special occasions, and photoshoot make-up. You can book your very own one-on-one Make-up workshop with one trained make-up artists. Bloemfontein has two locations where Bronwen’s team have ensured the MUD brand is exposed to more professionals, salons and consumers daily. Salon Elite Reflections MUD Stand offers customers convenient access to professional makeup products under careful instruction of a knowledgeable and trained MUD Makeup artist on site in the store. The BH MakeUp Studio is where salons and make-up pros buy all their make-up essentials needed to complete their dream kit, whether it is buying your very first MUD kit, filling up or adding on to your existing kit. The public may join in with either a one on one Workshop or planning a group workshop, so that you can learn how to do your make-up for any occasion. We as a distribution of MUD beauty supplies strive to maintain a professional and educated working relationship with all MUD pro make-up artists, MUD salons as well as with the general public. We strive to treat each and every one of our clients with the respect and dignity that they deserve, and to educate them about the product and its benefits. Bronwen is the owner and manager of BH Make-Up Studio, Distribution to the Free State & Northern Cape of MUD make-up products. She is a dynamic, young business woman who strives to be a better leader for her amazing support system and team. She is a qualified make-up artist and loves to see the client’s reaction about the end result. She is passionate about the make-up and beauty industry and strives to do all things through Christ who strengthens her, Phil 4:13.